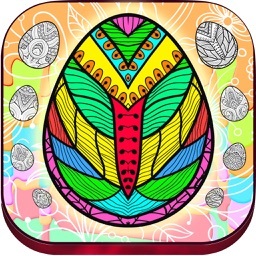 ipTime Capsule by Astrology 3D, Inc.
iTime Capsule now for iPad! ipTime Capsule brings your Future to Your Fingertips! 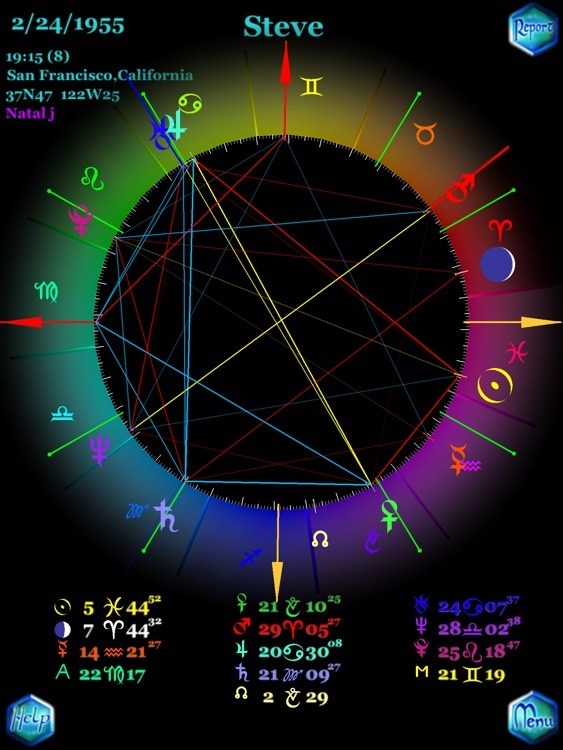 NEW: Ask a Question with Answer from iTC Astrologer Dusty Park. Forecasts for ANY date in time, not just yesterday, today & tomorrow! Full Professional Upgrade With Advanced Features Available! DN 7.15.11: "I've come to rely on iTC forecasts which have helped me avoid problems in every area of my life. Yes, it costs a little money for the more in-depth knowledge, but allot less than a live astrologer. For me, iTime Capsule has become my daily forecast of choice." 5 Stars! 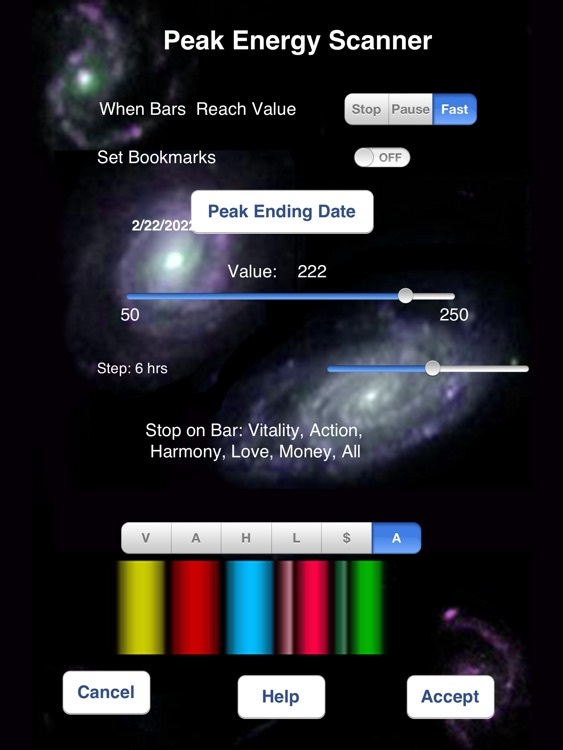 VM 1.31.11: "I would recommend this App to anyone.The reports are fully detailed & incredably inspiring. Just what I need to get me going. 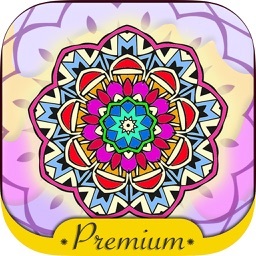 Worth every dime, Highly Recommended!" 5 Stars! 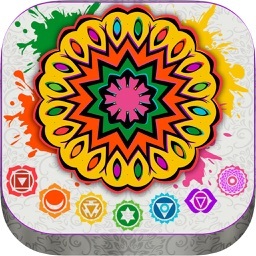 FR 10.26.10: "This app has been a life changing discovery & happens to be the 1 thing I've always looked for in astrology applications on any device, the ability to see the movement of the planets & the aspects they create plus Interpretations for that time. iTC has Eerily Accurate & Detailed reports." 5 Stars! BZ 4.17.10: Delete the ones you can read in the paper. iTC reports have been right on, especially for days that blew up on me. I feel forewarned on what to keep an eye out for & have avoided several difficult situations. iTC is well worth the nominal charge to get such a personalized & Accurate chart. Thank you!" 5 Stars! EV3 1.29.10: What I like about the iTC is that it's a 1000 times more accurate than the average astrology nonsense out there for iPhone. I think it should be much nearer the top of the astrology apps list. Personally, unless it's Accurate, I won't bother." 5 Stars! The ipTC is FREE to download with full professional forecast interpretations for ANY date in time during our 30 day introduction. You can get an additional 3 weeks if you register with your email. Once the free period has expired, you will be asked if you would like to subscribe to continue to get interpretations for $3 for 3 months. 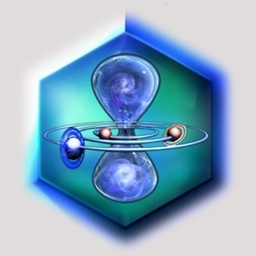 If you choose not to subscribe to continue with reports, the program will still allow you to continue to "Fly Through Time" allowing you to locate your most important energy dates. The ipTime Capsule (ipTC) is the iPad version of the Pioneering "iTime Capsule" 4 iPhone. It lets you "Fly Through Time" to see the energy landscape of your future & then provides a truly personal & fully professional interpretation of the energy for that moment in time. 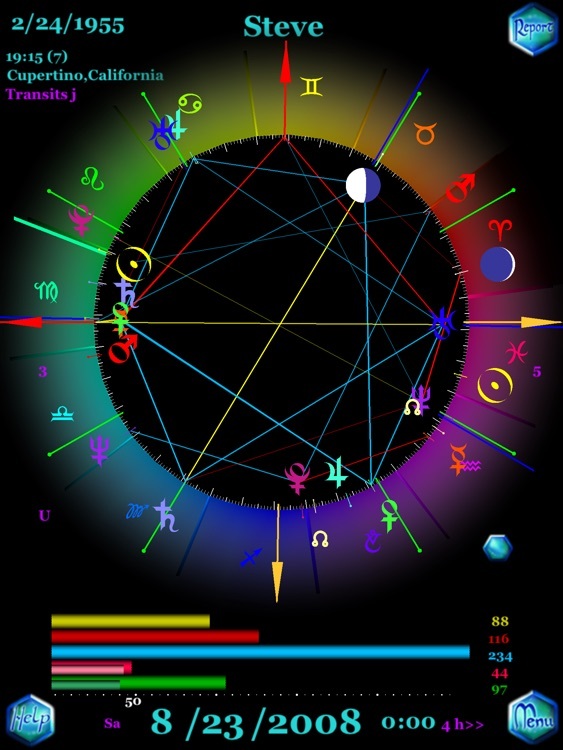 By calculating your full professional astrology chart based on your actual birthdate, time & city of birth, the ipTC is able to display your animated chart with 5 bar graphs showing the volume of energy at any moment. 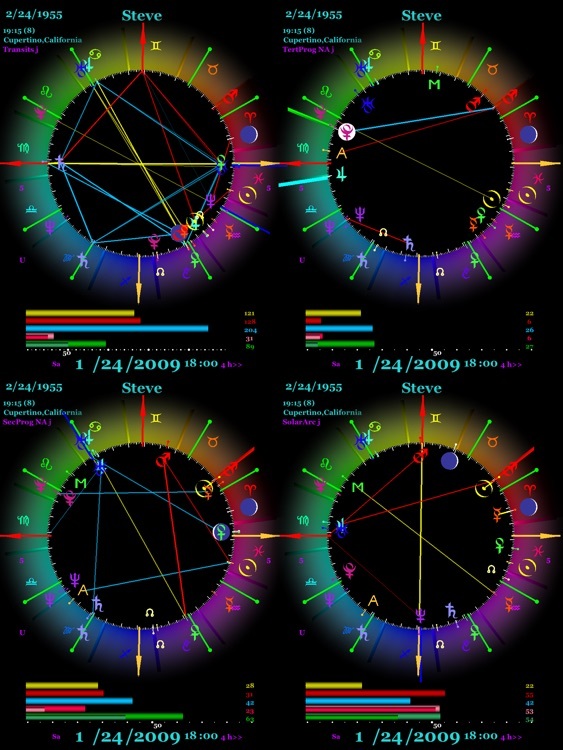 Interpretations are calculated exclusively for YOUR chart & no other. This brings to you an extremely high level of authenticity not possible in vast majority of astrology programs on the iPad. 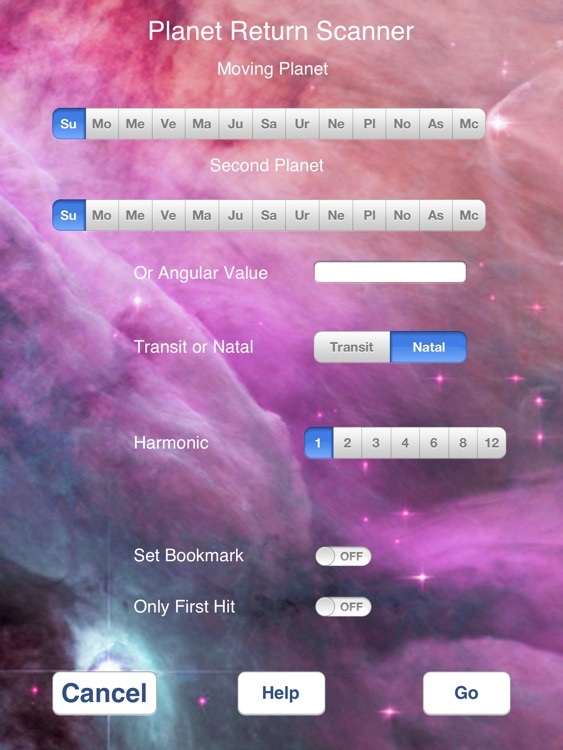 The ipTC is designed for the iPad Retina display, has a gracefully intuitive interface and shows you significant astrology details that no other astrology program can. What if you were able to explore & identify the most important dates in your life? 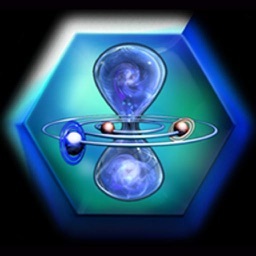 What if you could then read about this energy pattern in great detail, about the energy that is completely unique to you for that date? Designed for looking at Your Personal Future, the ipTC truly lives up to the concept that "Your Future is at Your Fingertips", since it is completely navigated by screen touches & swipes. Functions for Faster/Slower, Forward/Backward, Stop/Start, are all designed as very intuitive finger motions. 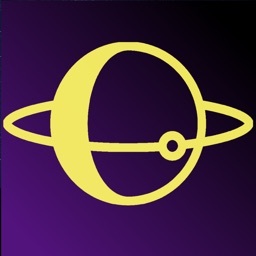 Our intention is to provide a valuable & unique astrological experience to everyone with a birthdate & an iPhone. To let people experience first hand the value of following & decoding the qualities of the planetary cycles of their lives. To further your understanding & appreciation of your unique relationship to the Creation in which we all Exist.